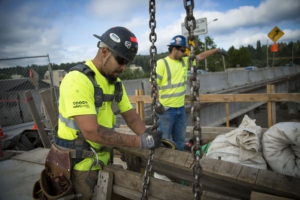 The Highway Construction Workforce Development Program initiated jointly by the Oregon Bureau of Labor and Industries (BOLI) and Oregon Department of Transportation (ODOT) works to increase diversity within Oregon’s highway construction trades. The program increases opportunities for women, minorities, and other disadvantaged populations to enter into highway construction careers by providing supportive services to all apprentices entering into targeted trades who have a documented need. Supportive services include financial and social support including transportation assistance, child care subsidies, mentoring, and job readiness supplies (e.g. tools, protective equipment, and clothing). Additional emergency hardship funding (for rent) is also available. Trade focused classes to accelerate entry into an apprenticeship program for a specific highway construction trade. This program was recently evaluated by Portland State University, using apprentice data maintained by BOLI and a phone survey of apprentices. The study found that the program, “improved completion rates for apprentices in eligible trades who received services.” Apprentices receiving supportive services from the program were found to be more likely than those not receiving supportive services to be working in construction after their apprenticeship program. 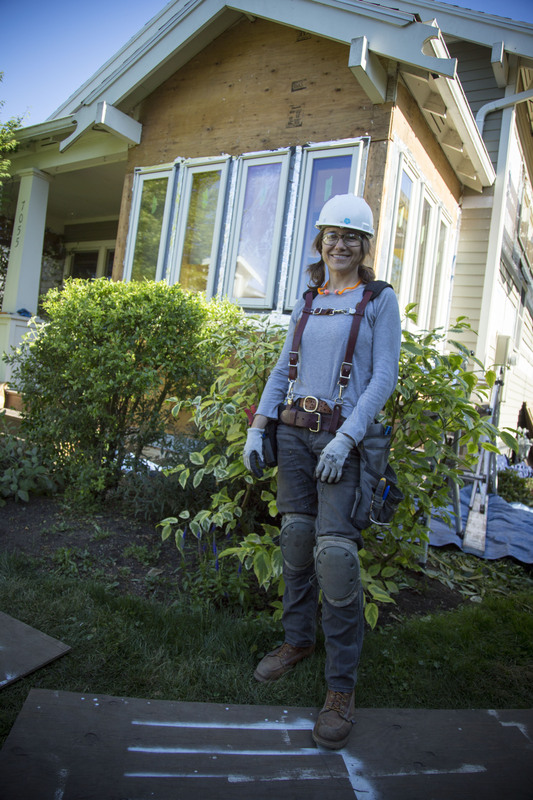 Female apprentices who received program services had a completion rate of 61%–double the rate for women apprentices who did not receive services from the program. Additionally, 72.5% of apprentices receiving supportive services reported that ODOT-BOLI support allowed them to take a job that they otherwise would not have been able to take. Currently ODOT and BOLI are working to integrate child care subsidies with the Oregon Department of Human Services’ Office of Self-Sufficiency Programs, which administers the state’s Employment Related Day Care (ERDC) program. This will allow subsidies to be available at higher income levels than the currently existing ERDC program. A half-day supervisor training pilot test to be conducted by professors from the University of North Carolina.